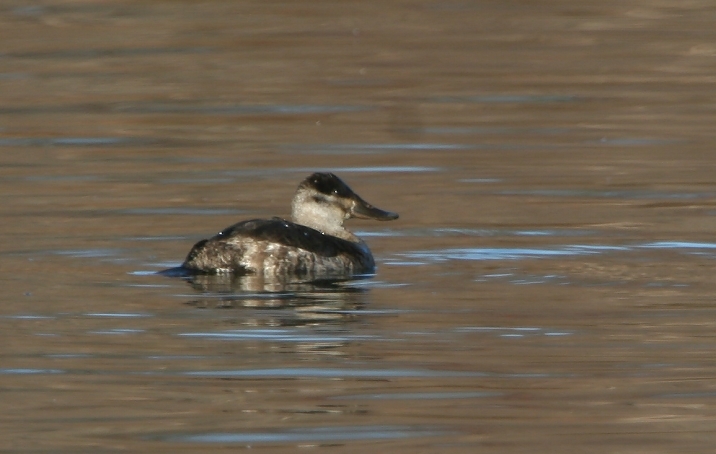 Above and below: Quick! 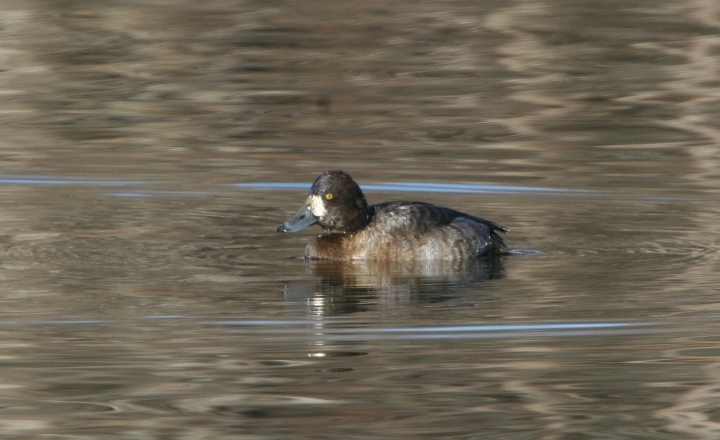 Name that scaup species! 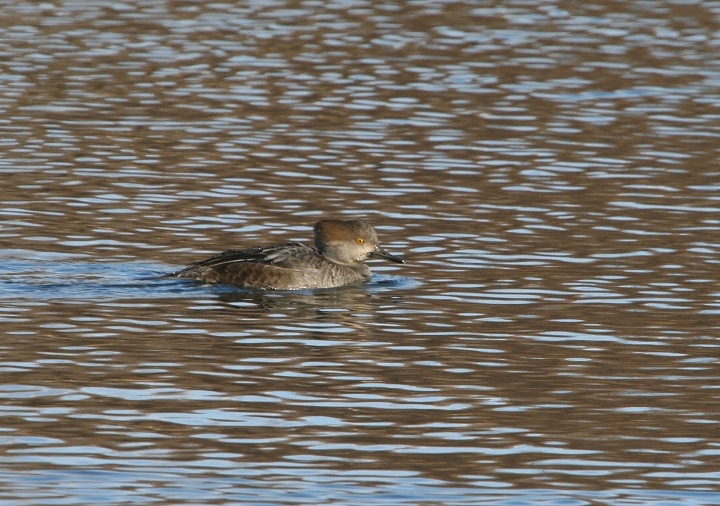 Photographed at Centennial Lake, Howard Co., Maryland (12/23/2005). 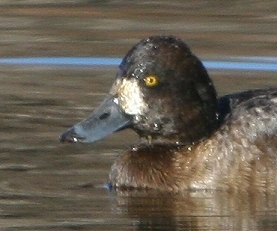 Above shows two useful field marks for Greater Scaup: a rounded crown and larger nail (tip of beak) surrounded by black coloration. 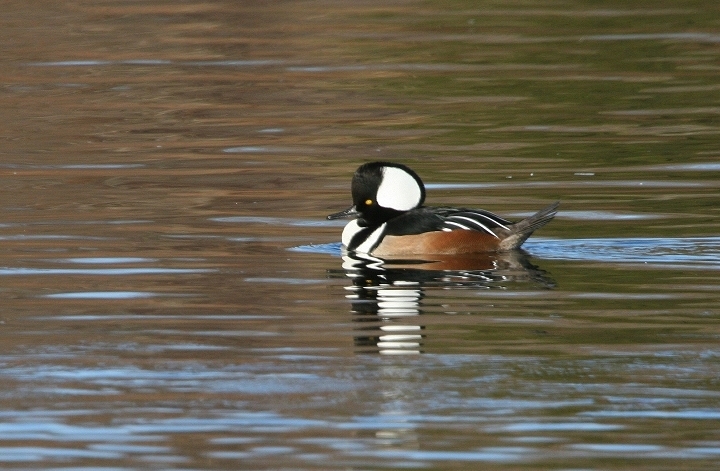 Above: Drake Hooded Merganser at Centennial Lake, Howard Co., Maryland (12/23/2005). 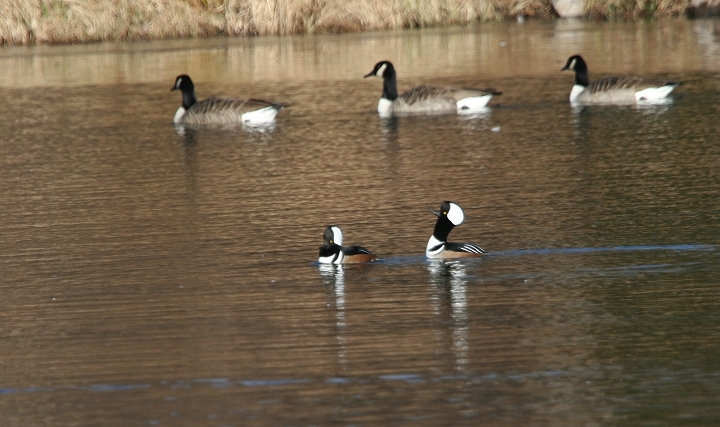 Below: Two males displaying on this warm-for-December morning. 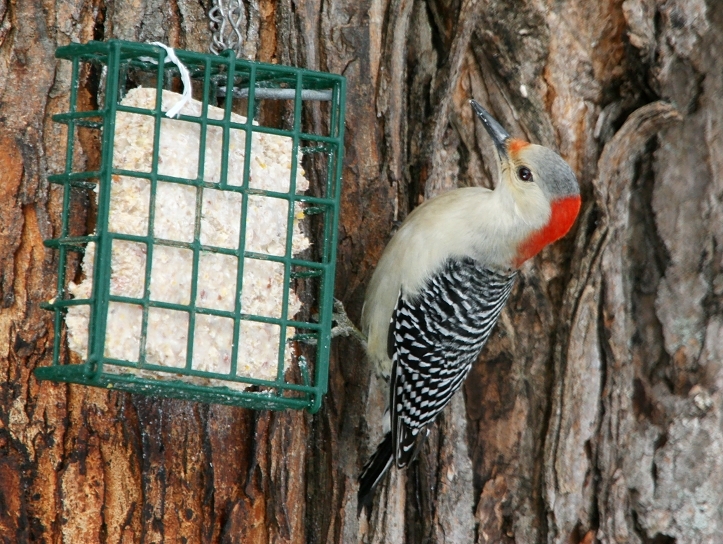 The extent of red on the head is the easiest field mark to distinguish the two. 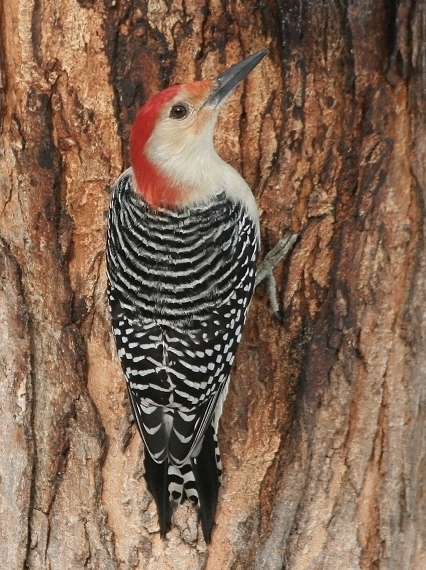 These photos also show the rigid tail feathers that help support the birds while clinging. 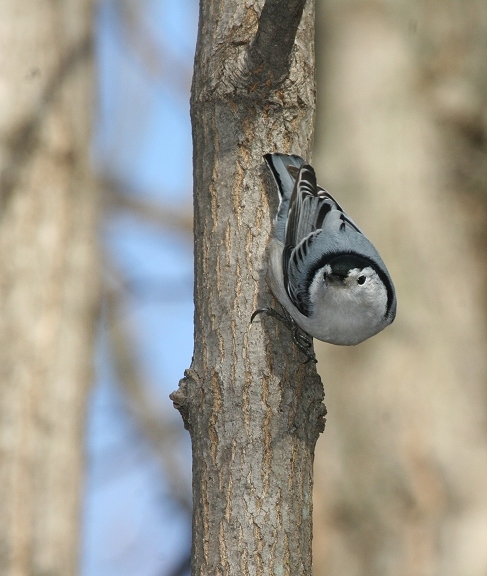 Below: A curious White-breasted Nuthatch checks out a couple hikers in central Indiana (12/24/2005). 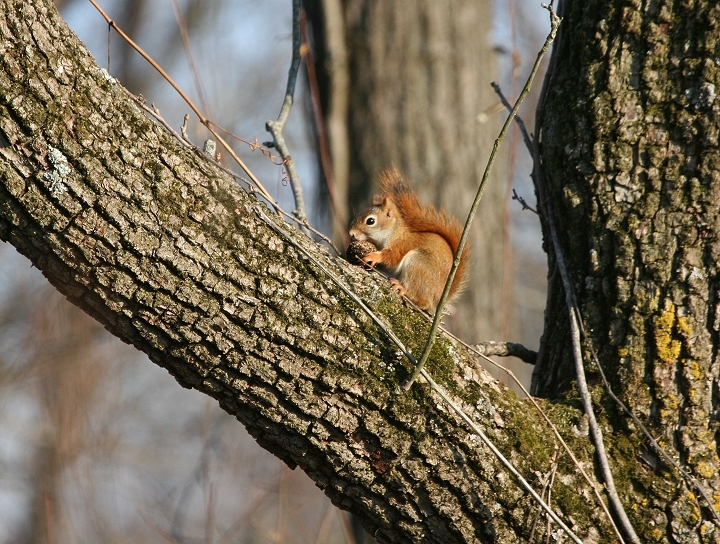 Below: Red Squirrel at Tippecanoe River State Park, Indiana (12/27/2005). 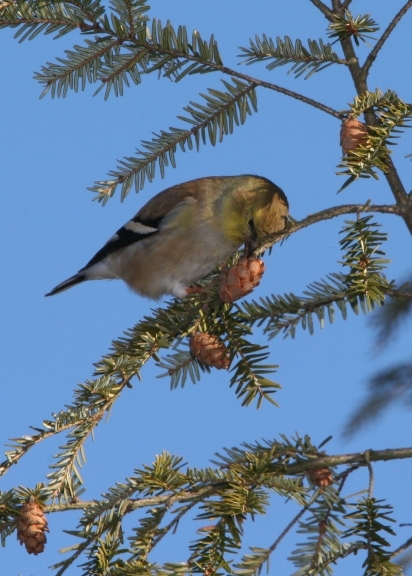 We discovered this tiny pine woods specialist after wondering about the faint nibbling sounds we were hearing. 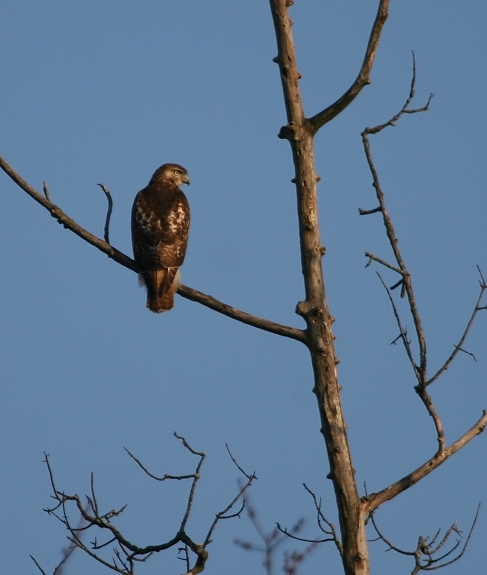 Below: Red-tailed Hawk at Tippecanoe River State Park, Indiana (12/27/2005). 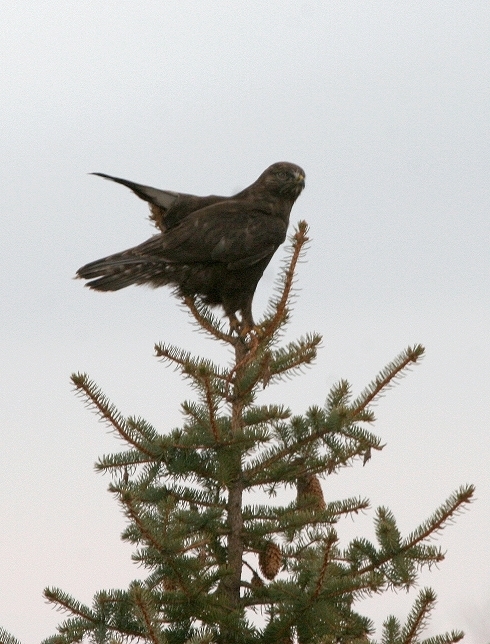 Below: A dark-phase Rough-legged Hawk perched by the roadside in central Indiana (12/28/2005).